During E3 2018, Sony Interactive Entertainment and Square Enix announced Kingdom Hearts VR Experience, a free Playstation VR application that combines a beautiful visual experience with the iconic music of the Kingdom Hearts franchise to immerse fans in a 10-minute interactive video covering the history of the series. Kingdom Hearts VR Experience will release December 25th, 2018, and will receive a free update on January 18th, 2019 following the release of Utada Hikaru's "Face My Fears" single album. 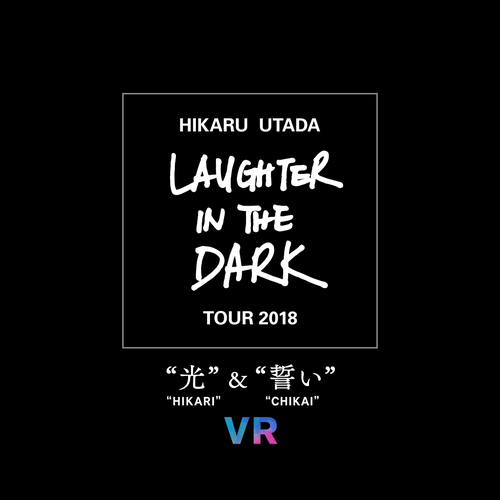 Additionally, Sony Interactive Entertainment has announced that it plans to release "Hikaru Utada Laughter in the Dark Tour 2018 - 'HIKARI' & 'CHIKAI' - VR" which features two live performances filmed during the recent “Hikaru Utada Laughter in the Dark Tour 2018” for the PSVR. The first performance to release will be "Hikari" from Kingdom Hearts for PlayStation Plus members on December 25th. "Chikai" from Kingdom Hearts 3 will be released together with "Hikari" to all PSVR users for free early 2019. I have Astro Bot VR and Final Fantasy XV VR but I don't actually have the system lol. Definitely need to grab it before December 25th though. Well...I guess I'll finally pick up a PSVR. Are any of the moderators going to review this Kingdom Hearts VR Experience? Mods are just forum staff. But yes the news staff will be reviewing it. Hopefully there'll be some way to watch the LITD performances without a VR headset. I have been considering getting one for a couple of things but I honestly don't understand how they work, and the technology is still so new I'd rather just wait on it. Questions, Is this is for the US and Japan? Technically if it is Japan, Would that mean it would release on the 24th in the US? It's only for Japan for now, but if the other regions get dated, they would all be the same date. These releases roll out by region + the time of day PSN updates.